Swedish composers, music & video producers, arrangers, topliners, singers, A&R, vocal coaches from Eurovision, radio, TV, talent competitions, world wide releases. We offer mp3 karaoke music, albums and services for music cooperations. Go to the link Web shop and click “Buy product” on the item you wish to order. Pay by your Paypal account. 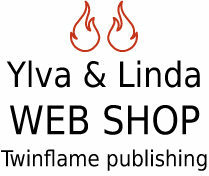 Send us an email to ylvalinda.persson@gmail.com to confirm what song or service you wish to order.